Winemaker Virginia Marie Lambrix (aka VML or Ginny) is dedicated to producing Pinot Noir and Chardonnay from California's Russian River Valley. Her Limited Release 2013 Pinot Noir has complex aromas of licorice, rosewater, jasmine tea and hints of savory mushrooms, a classic nuance in good Pinot Noir. 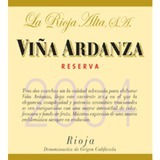 Strawberry, cherry and vanilla bean are complemented by nice acidity and a juicy lingering finish. This wine is barrel aged for 9 months in French oak; 40% new, 30% once used and 30% neutral barrel. Fruit comes from the heart of the Green Valley and her Floodgate property a few miles southeast of the winery. Virginia founded her own winery in 2011 after working for the Hurst family in the Dry Creek Valley, for Deloach in the Russian River and for Concha y Toro in Chile. But she was totally drawn to the Russian River Valley for its coastal winds & fog coupled with airy Goldridge soils. She believes this part of California is perfect for her quest to produce refined and silky Pinots with multi-layered, balanced styles. Her Pinot below exemplifies this, and shows off the rich, exotic side of American Pinot Noir which has been luring wine lovers to Pinot who used to only drink big & oaky reds. On a side note, we also love that she makes small batches of sparkling wine, proving that she follows her heart when winemaking. Fans out to a broad, fleshy expanse of dried fruit flavors, with plum, cherry and blueberry notes that are delicate and understated, yet persistent. Drink now. 2,800 cases made.